We can offer you an accommodation choice, between a standard 4 star or track-side 5 star hotel in Singapore both offering excellent locations. Our 4 star hotel is located just a short 8 minute stroll form the circuit and our 5 star is fantastically located track-side a mere 20 meters from the Singapore circuit. 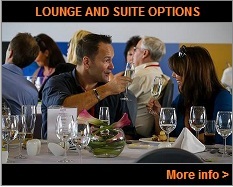 Both hotels are centrally, surrounded by numerous upmarket shopping centres, superb restaurants, cafes, bars and clubs. Combined with your return flights, general admission or grandstand race tickets, to form the basis of an unforgettable 2018 Singapore Grand Prix travel package. 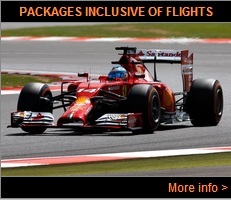 You must book a minimum of 3 night Singapore Grand Prix tour package, which may be extended on request, to give you more time to explore Singapore and the island’s numerous tourist attractions. Without a doubt a great choice for your 2018 Singapore Grand Prix tour. Singapore City, known as the Lion City, is by far the largest and most significant island alongside 63 others that make up Singapore state. Here, especially at the mouth of the Singapore River, Asian tradition meets modern technology – gleaming skyscrapers tower over traditional architecture, while squat Chinese and Hindu temples stud the city. A curious blend of ancient and modern, the city is home to an ethnic mix of Chinese, Malaysians and Indians, as well as expats from all over the world, in a predominantly English-speaking society. Despite its rather sanitised reputation, though, Singapore is anything but dull. You will be spoilt with things to see and do, its vibrant nightlife, its rich cultural mix, and a whole planet’s worth of culinary experiences. 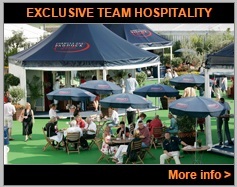 For the duration of your 2019 Singapore Grand Prix tour, you will be based in the heart of Singapore. Whether you’re into arts and entertainment, enjoying drinks and soaking up the Singapore nightlife, shopping or experiencing local sites and Singapore’s rich history and culture, you’ll find it all at an arm’s length on the small island. 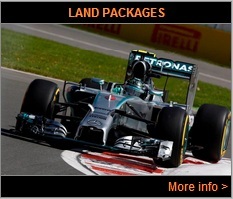 An ideal base for your 2019 FORMULA 1 SINGAPORE AIRLINES SINGAPORE GRAND PRIX tour and travel package!